You know that feeling – the warm, fuzzy one you get when you give to others? Be it a gift or volunteering your time…turns out, it’s also good for your health! 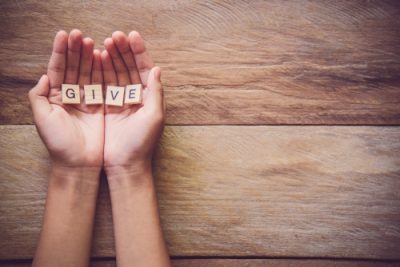 A number of studies have shown that giving a gift, volunteering or making charitable donations has a positive effect on your physical and mental health and can even contribute to a longer life. Researchers have found that giving and volunteering help to reduce stress and depression as well as promote healthy social connections and a sense of purpose. In one study researchers discovered that adults over the age of 50, who volunteered on a regular basis, were less likely to develop high blood pressure than non-volunteers. High blood pressure greatly increases the risk of serious health problems, such as heart disease and stroke. • Volunteer at the humane society or an animal rescue organization.